Modern accretions made to Glen Mary’s west façade have desecrated the purity of its classical Greek revival design, obliterating the porch and removing all the rear windows in the original house. The aesthetic and functional penalties were disastrous. When funding is in place our intention is to remove these additions and restore the west facade to its original classical design. Glen Mary successfully blends classical aesthetics with the practicalities necessary for Southern living. Adorned only by a colonnade of six Doric columns each set on a square pier, Glen Mary’s visual impact masks its apparent simplicity. The aura of majestic space and light in the public rooms on the second floor is created by floor to ceiling windows and high ceilings. By Glen Mary’s positioning on a rise, orientation to the sun and prevailing winds, the thick brick wall, majestic doors and large windows, its high ceilings and broad hallways the genius of its design is realized. By these devises, the dominant adversary of intense Southern heat has been managed and defeated, taking in and holding the evening coolness and mitigating the daytime heat. Sadly, the essence of these qualities have been defiled by the loss of the entire original rear of the house. 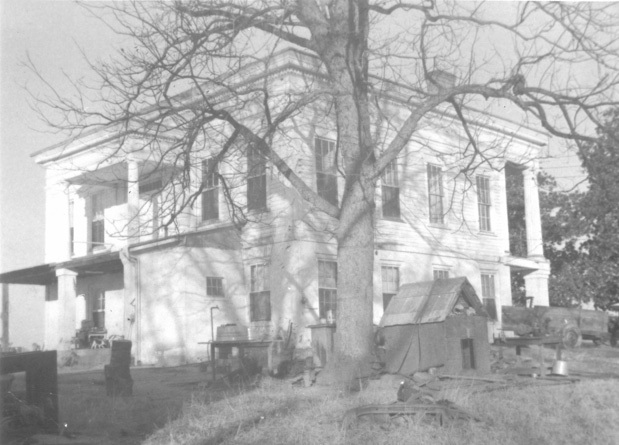 During the 1960’s a two-story addition to the rear (west façade) of the house was added with modern amenities. 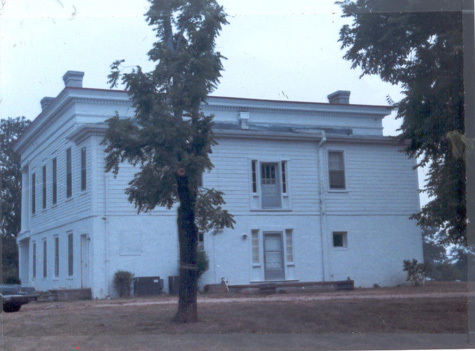 This addition demolished both floors of the original rear porch with Doric columns and wide entablature on the upper story, and square piers on the lower story. Eight windows and shutters were removed. Six of the eight original windows, the porch columns and three shutters have survived and can be refurbished and reused in the restoration. The deleterious effect of these accretions include the following: Airflow and cross ventilation are impaired by the restriction of open space at the rear end of the spacious wide center hall and by the lack of windows; removal of the windows destroyed the sense of space which permitted viewing hundreds of acres of rural countryside and completely blocked natural light from the entire rear side of the structure. The symmetry of the building, grossly, has been distorted by unsightly alternation of roof lines and the awkward shaping of this addition. The removal of the second story rear porch deprives the structure of outdoor living space, originally contemplated to avoid the heat of the morning sun. The modern addition also makes it difficult to understand the functional relationship of the house to the outbuildings that supported it. These improvident consequences have destroyed the original architectural purity of the house. 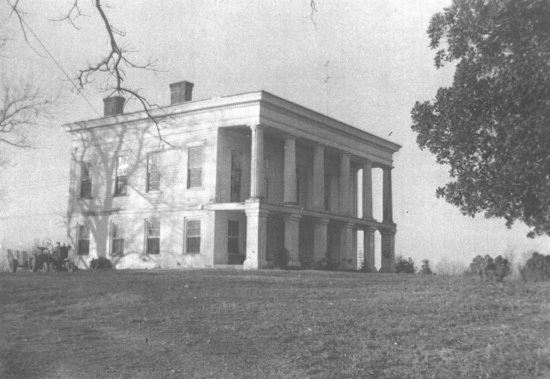 The project plan simply is to deconstruct the deleterious additions and to restore the plantation house to its original architectural configuration. This restoration project presents an opportunity for the viewer to witness a dramatic transformation, from something, which has been disfigured to a structure realizing its original architectural genius. The viewer will start by seeing the damage possible by thoughtless management of a nationally historic treasure. The cloistered effect wrought by the modern addition: lack of light; lack of view from the interior; loss of air and loss of the sense of space. In addition, the rear porch is gone. But the result of the consummation of the project work will be stunning to viewers: In a stroke, the genius of the architectural design will be restored. The light will fill the rooms from all sides as intended. The air will flow through the length of the building. The eye will be cast in any direction to reveal the beauty of the rural landscape, the grounds and the gardens. The most dramatic exterior element, the porch, will be replaced. It is not enough to itemize these elements since they combine to generate an unforgettable ambiance and experience.